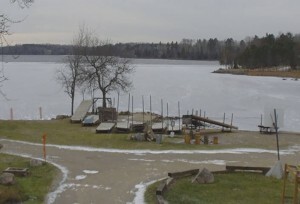 Some smaller area lake have been iced over for about 10 days. Most are not safe for walk traffic. Cold temps last night and this weekend will change that and we will start to see folks out for those early ice walleyes.